New Price! Certified. Crystal Black Pearl 2016 Honda Accord EX-L FWD CVT 2.4L I4 DOHC i-VTEC 16V **Honda CERTIFIED, **ONE-OWNER, **CLEAN CARFAX.. NO ACCIDENTS, **FULLY SERVICED BY A FACTORY TRAINED TECHNICIAN.Price Reduced!!! 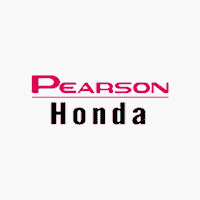 At Pearson Honda we constantly adjust our pricing based on similar vehicles in the market. Our commitment is to provide the very best pre-owned automobiles to our customers at the fairest price. This vehicle has just been reduced. Making an already great value even better. 26/35 City/Highway MPGHonda Certified Pre-Owned Details:* Limited Warranty: 12 Month/12,000 Mile (whichever comes first) after new car warranty expires or from certified purchase date* 182 Point Inspection* Vehicle History* Transferable Warranty* Powertrain Limited Warranty: 84 Month/100,000 Mile (whichever comes first) from original in-service date* Warranty Deductible: $0* Roadside Assistance with Honda Care purchaseAwards:* ALG Residual Value Awards * 2016 KBB.com Brand Image Awards2016 Kelley Blue Book Brand Image Awards are based on the Brand Watch(tm) study from Kelley Blue Book Market Intelligence. Award calculated among non-luxury shoppers. For more information, visit www.kbb.com. Kelley Blue Book is a registered trademark of Kelley Blue Book Co., Inc.
Certified. Aegean Blue Metallic 2016 Honda Civic EX-T FWD CVT 1.5L I-4 DI DOHC Turbocharged **Honda CERTIFIED, **ONE-OWNER, **CLEAN CARFAX.. NO ACCIDENTS, **POWER SUNROOF/MOONROOF.Recent Arrival! 31/42 City/Highway MPGHonda Certified Pre-Owned Details:* Transferable Warranty* Limited Warranty: 12 Month/12,000 Mile (whichever comes first) after new car warranty expires or from certified purchase date* 182 Point Inspection* Roadside Assistance with Honda Care purchase* Vehicle History* Powertrain Limited Warranty: 84 Month/100,000 Mile (whichever comes first) from original in-service date* Warranty Deductible: $0Awards:* 2016 IIHS Top Safety Pick+ (When equipped with honda sensing) * NACTOY 2016 North American Car of the Year * 2016 KBB.com Brand Image Awards2016 Kelley Blue Book Brand Image Awards are based on the Brand Watch(tm) study from Kelley Blue Book Market Intelligence. Award calculated among non-luxury shoppers. For more information, visit www.kbb.com. Kelley Blue Book is a registered trademark of Kelley Blue Book Co., Inc.
New Price! Certified. Lunar Silver Metallic 2016 Honda Accord EX w/Honda Sensing FWD CVT 2.4L I4 DOHC i-VTEC 16V **Honda CERTIFIED, **ONE-OWNER, **CLEAN CARFAX.. NO ACCIDENTS, **POWER SUNROOF/MOONROOF.27/37 City/Highway MPGHonda Certified Pre-Owned Details:* Warranty Deductible: $0* Limited Warranty: 12 Month/12,000 Mile (whichever comes first) after new car warranty expires or from certified purchase date* Powertrain Limited Warranty: 84 Month/100,000 Mile (whichever comes first) from original in-service date* Vehicle History* Roadside Assistance with Honda Care purchase* Transferable Warranty* 182 Point InspectionAwards:* ALG Residual Value Awards * 2016 KBB.com Brand Image Awards2016 Kelley Blue Book Brand Image Awards are based on the Brand Watch(tm) study from Kelley Blue Book Market Intelligence. Award calculated among non-luxury shoppers. For more information, visit www.kbb.com. Kelley Blue Book is a registered trademark of Kelley Blue Book Co., Inc.
Certified. Taffeta White 2016 Honda Civic Touring FWD CVT 1.5L I-4 DI DOHC Turbocharged **Honda CERTIFIED, **ONE-OWNER, **CLEAN CARFAX.. NO ACCIDENTS.Recent Arrival! 31/42 City/Highway MPGHonda Certified Pre-Owned Details:* Warranty Deductible: $0* Roadside Assistance with Honda Care purchase* 182 Point Inspection* Powertrain Limited Warranty: 84 Month/100,000 Mile (whichever comes first) from original in-service date* Transferable Warranty* Limited Warranty: 12 Month/12,000 Mile (whichever comes first) after new car warranty expires or from certified purchase date* Vehicle HistoryAwards:* 2016 IIHS Top Safety Pick+ (When equipped with honda sensing) * NACTOY 2016 North American Car of the Year * 2016 KBB.com Brand Image Awards2016 Kelley Blue Book Brand Image Awards are based on the Brand Watch(tm) study from Kelley Blue Book Market Intelligence. Award calculated among non-luxury shoppers. For more information, visit www.kbb.com. Kelley Blue Book is a registered trademark of Kelley Blue Book Co., Inc.